As someone that’s always on the go, having a product to freshen my hair in-between washes is a must (especially with a shorter style). Batiste new dry shampoo wakes up my roots with a luscious cherry scent. This quick touch-up adds instant life and texture back into my hair. Dermalogica’s not just skin care, they keep you smelling fresh too! “Environmental Control Deodorant” keeps me dry with a blend of odor-neutralizing and natural ingredients. What I love most is its lemony scent and that it contains NO Aluminum Chlorohydrate. Perfect for sensitive skin and as a foot deodorizer too. Collection after collection, Lise Watier continues to blow my mind. The new “Aurora Beauty” eyeshadow palette features 6 shimmery shades, perfect for day or night. With a creme-powder finish, you can keep it simple and matte or dress it up with a Metallic shine. Though I’m a sun bunny, I know the importance of being sun-smart. Jergens “Natural Glow” foaming daily moisturizer leaves my skin glowing and hydrated with a blend of moisturizers, antioxidants and Vitamin E.
I love how this formula creates a gradual tan and it quickly dries without transferring onto my clothes! 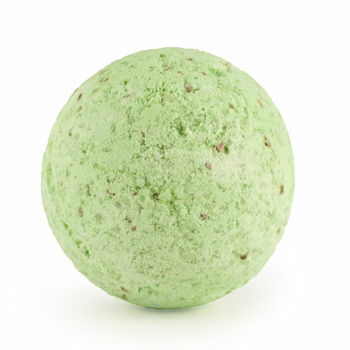 Snap, Crackle, Pop goes Lush Cosmetics new “Northern Lights” bath bomb. I could not believe my eyes how quickly this little wand turned my tub into a colourful sea of neon blue and green. The next best thing to relaxing and being wrapped by scents of Jasmine and Ylang Ylang, was the blanket of tiny stars that floated above. For those that follow this blog, you know that I lead a very LUSH life! From the moment I started my journey with LUSH Cosmetics (bath bombs were my first intro), I have had an increasing love that has blossomed and continued to grow for the company. Last year I had the amazing opportunity and privilege to tour the LUSH factory kitchen in Vancouver. Whether it be my experience in the stores, the tour, the product or the incredible staff I have had the pleasure of meeting, I have grown to have such appreciation for this great company. 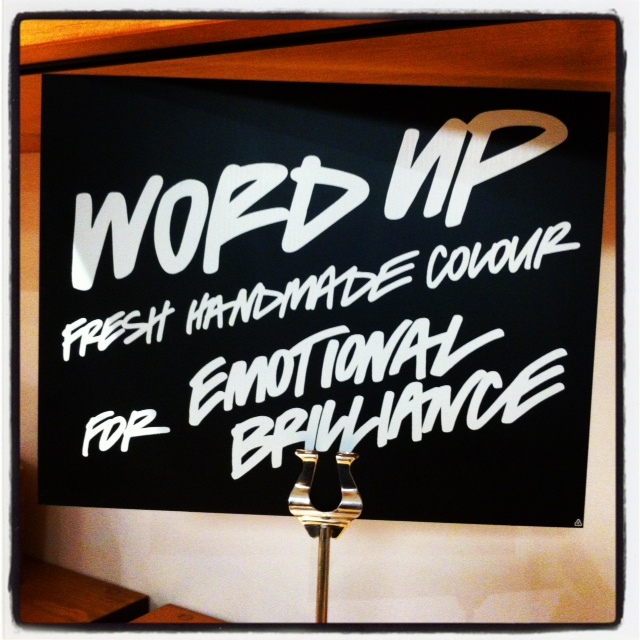 Last year I attended a LUSH Cosmetics event in Vancouver where they launched their new line Emotional Brilliance. 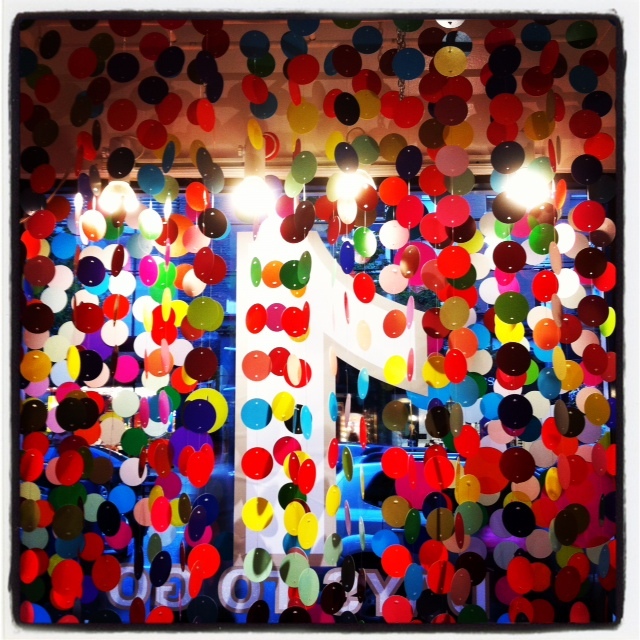 Before even walking in the store I could see that the windows were filled with hanging streams of colored circles. The colors represented what the night had in store. Each color was part of the Emotional Brilliance experience. Right off the bat I was introduced to Jeff Brown, one of the brand and product knowledge trainers for LUSH. Jeff was so welcoming and had a great smile, without hesitation Jeff jumped at the opportunity to get things started. His enthusiasm and passion made the whole experience memorable. He sat me down at this table and told me to close my eyes and when I opened them to watch the large wooden wheel spin and immediately pick the 3 colors that stood out! I was also told not to think about the colors and go with my gut reaction, to the ones I was instantly drawn to. There was even dry ice added to give the experience some flare (see pic below). For every color their was an emotion tied to it, my 3 colors were Passionate, Calm and Motivation. The really cool thing about the night was to pick makeup colors based on pure emotion. I saw guests play with colors they normally would not gravitate to. I saw confidence building in people over the hour and a certain playfulness develop for some. Overall this was an event for all ages and I was happy to be invited and to be a part of the launch. When I decide who I will feature for an interview on Beauty Buzz 411, I look for individuals that have something to give back and a love for life. After meeting Jeff at LUSH I knew that it would be a great fit since we shared similar views on life and a mutual passion for a wonderful company. I have seen first hand how happy LUSH employees are and knew this interview would be informative and fun. 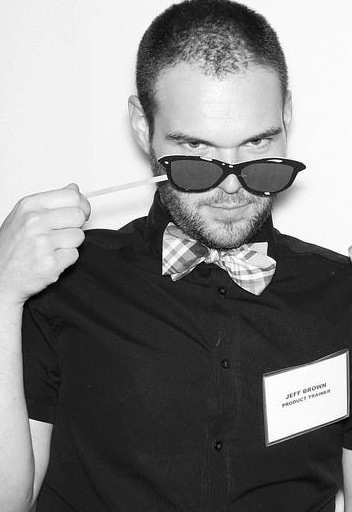 I am happy to be able to share with you a look inside what it’s like to work for LUSH and some fun tidbits on a great guy with infectious energy~Jeff Brown! 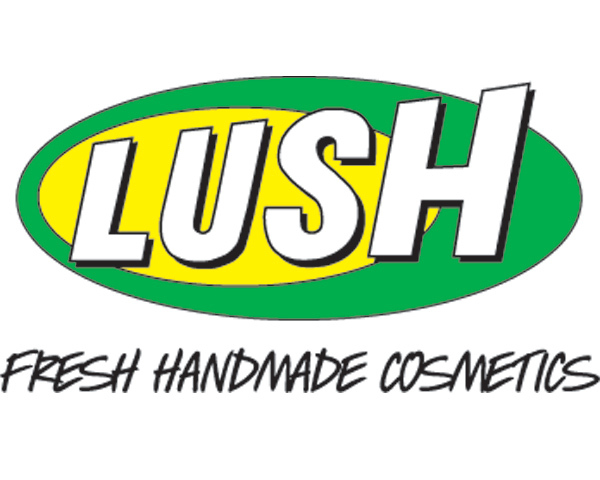 BB411~ How long have you worked for LUSH and what do you do there? JB~ I have worked for LUSH for 7 years and I am one of the Brand and Product Knowledge trainers! BB411~ How has working for LUSH changed or impacted you as a person? 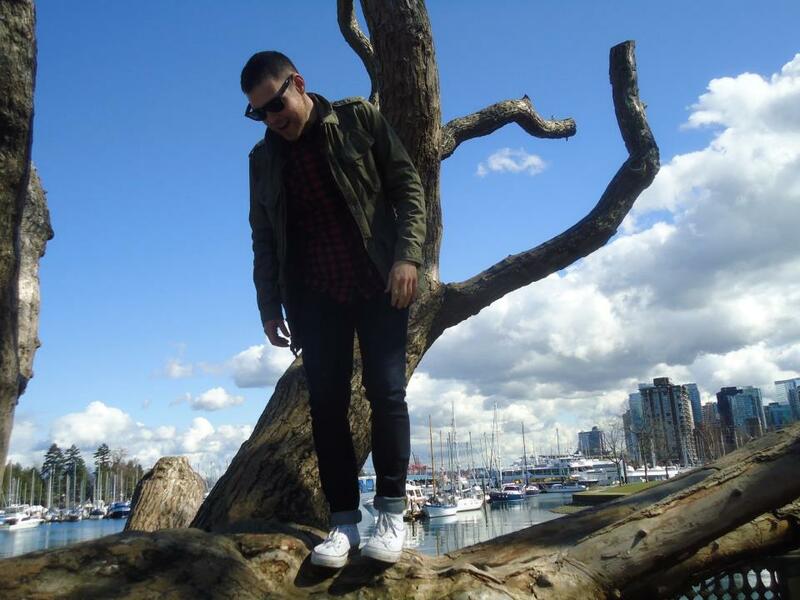 JB~ I came to work for LUSH initially impressed by the products and the retail environment (I started as a Sales Associate at the Robson Street shop in Vancouver), but over time LUSH opened my eyes to so many things I didn’t know about before. From the huge array of animal, environmental, and humanitarian causes we support, to the wasteful over packaging that prevails in our industry, I get to contribute to all of these causes, and I am also a better informed consumer. BB411~ What has working for LUSH meant to you? JB~ To be honest, I am so touched to work for this company. They praise individuality and creativity above all else and I get to be myself and contribute and someone is always listening. BB411~ For anyone that hasn’t tried LUSH or may not know much about the company, what would you want them to know? JB~ The products are just as accessible and fun and easy to use as they are ethical and effective. People come into our shops all the time looking for vegan products or unpackaged products, but just as many people come in looking for body glitter or perfumed soap. All are welcome! For a crash-course in LUSH’ values, check out our We Believe statement, which we’ve followed since we started. BB411~ When did your love for skin care start? JB~ Not coincidentally, it started with a LUSH moisturizer a friend gave me when I was in my early 20s. Not only did my skin look and feel better, but I had never turned a product over and been able to read the ingredients before. Seeing honey, rose, and fresh mango in my moisturizer opened my eyes and piqued my interest. JB~ LUSH loves colour and wanted to explore using it outside the prescriptive confines of traditional makeup. While makeup is so often about trends and what someone else tells you is either ‘in’ or looks good on you, Emotional Brilliance is about looking inside yourself to choose the colours you respond to on a deeper level. Each colour represents an emotion and we want everyone to wear those emotions with pride and confidence. When one is wearing Emotional Brilliance you can’t help but let those emotions shine through. 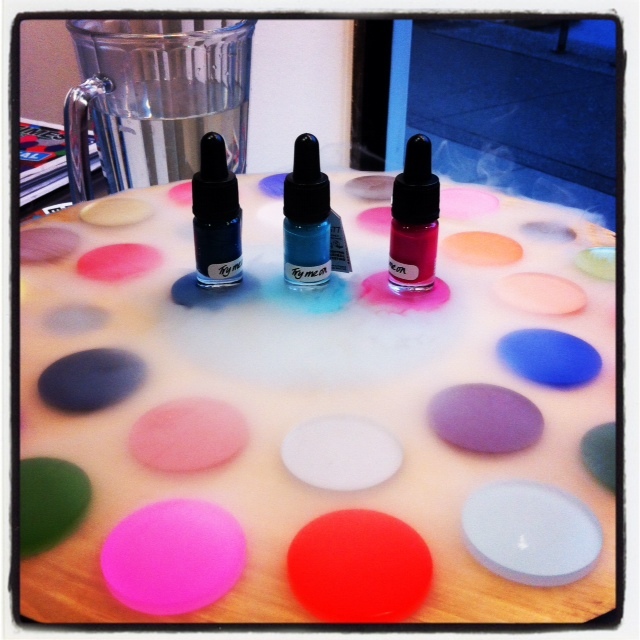 You can explore the colours and emotions through a colour reading in one of our shops on online. BB411~ What 3 colors are you? JB~ The very first reading I ever had, I chose Bubbly, Motivation, and Calm. And still can’t think of a better way to describe myself. BB411~ What is your favorite color? JB~ Green! In Emotional Brilliance: Healthy. BB411~ What is your favorite Cleanser? JB~ I swear by Mask of Magnaminty. I can use it daily in the shower or as a mask when I am looking to relax a little more. JB~ Trichomania Shampoo, one of our solid shampoos. It’s naked and preservative free, plus its packed with creamed coconut and it smells delicious! My hair is naturally really curly and it keeps everything smooth and under control. JB~ I always moisturize with Skin Drink. BB411~ What are the 3 beauty things you carry with you always? JB~ I travel a lot in this position, working with different LUSH shops and training staff around North America, and in my carry-on you will always find Ultrabalm (an all-purpose, all-natural balm to replace petroleum-based balms), a Lip Service lip balm, and a Gorilla Perfume solid perfume (which one? depends on my mood). BB411~ #1 thing you could not live without? JB~ The #1 thing I can’t live without is a Geo Phyzz bath bomb. Taking a bath can be such a therapeutic experience and something I really rely on. Whether it’s to relax after a long day or travel, to ease sore muscles, or just for a few moments of meditation this sea salt, pine, and cypress bath always does the trick – and keeps me sane. JB~ I am happy to see that men are more health conscious than ever before and taking great care of your skin is just another part of taking great care of your body. I want people to be just as conscious of what they are putting on their bodies as what they are putting into them. I also think its important to recognize that taking care of one’s skin goes beyond an effort to look handsome. Looking and feeling healthy can be a great source a confidence; a reason to walk tall and hold you head up high. BB411~ Number #1 mistake men make when taking care or their skin (or forget to do)? JB~ Honestly, the biggest mistake men make is letting themselves be controlled by beauty industry marketing. Skin is skin; listen to it and look for products that are going to do what you want and what you need, not just ones that say “FOR MEN” on them. JB~ I wear Imogen Rose by Gorilla Perfumes at LUSH almost every day. Rose is as classic as scents get and on my skin pure rose absolute smells sophisticated and interesting. BB411~ I love Imogen Rose as I am obsessed with anything that smells like roses! I also posted about it here and featured in my column for Fresh Vancouver Magazine’s Nov/Dec issue. BB411~ What scents remind you of your childhood? JB~ Wood smoke, instant coffee, play doh, and of course L’Air du Temps by Nina Ricci because my mom has worn it my whole life. JB~ I think we should use this word to describe anything we adore, admire, or appreciate. It’s not just physical. Beauty is an act of charity, someone who holds the door for you, a poem, animals playing together, the people you love most. JB~ I think the most important concept is ‘give’. ‘Give back’ is the necessary reaction. BB411~ What charities are you involved in and are any dear to your heart? JB~ I recently started supporting OWL, The Outdoor Wildlife Rehabilitation Center in Delta BC, which rehabilitates orphaned and injured birds as well as educates youth and the public. Really, any animal oriented charities tug at my heart-strings! JB~ Say how you feel. And don’t take it personally. BB411~ Fun fact people may not know about you? JB~ I love animals and my boyfriend and I have a beautiful Sphynx cat named The Bean, who keeps me sane (and makes sure I get my exercise).